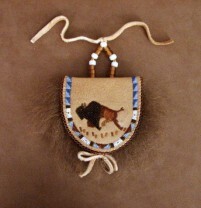 These art and craft works are made in Montana by artists and craftsmen that are residents of this state. Montana Arts and Crafts reflect the rich traditions of the American West - its uniquely beautiful environment, its proud indigenous people and new settlers too. Montana's artists and craftsmen take pride in their creations and hope that their patrons will appreciate their steadfast determination to produce quality items that are proudly made in the USA!